This clock is ready for another 50 years if it is oiled every two years. 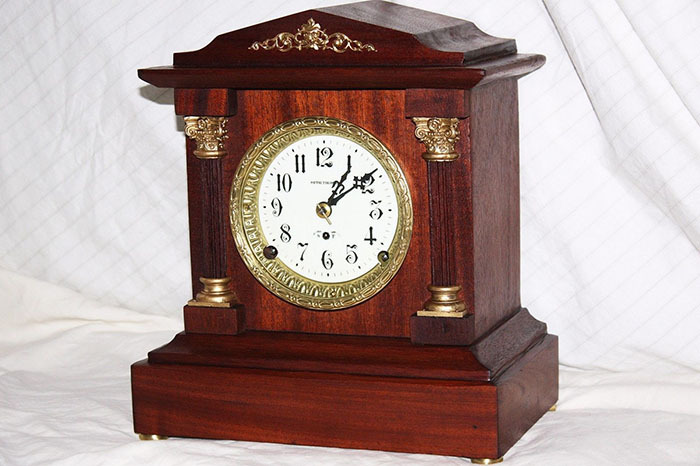 The measurement of this clock is 10 inches wide, 6 inches deep, and 11 ¼ inches high. Every piece of this clock is original. There is a certificate to ensure that all pieces are original. 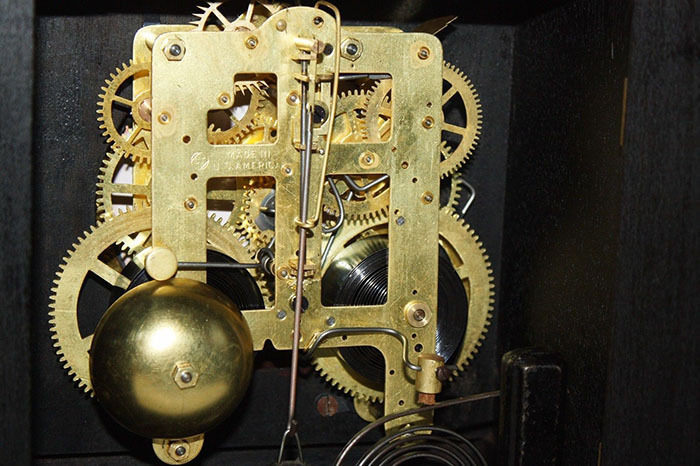 The movement of this clock is marked with ST. ST is Seth Thomas with a movement 89C. The clock chimes on the hour and on the half hour. The sound the clock makes is a beautiful tick-tack sound. Along with its beautiful sound the roman numeral dial is white porcelain and measures 5 inches in diameter. The paint on this particular clock is original, there is no repainting or coating. It is in great condition. The paint shows no cosmetic wear which is rare due to its age. The history behind this clock is unlike any other. French clocks became popular in the United States, except these clocks were slate, onyx, or marble and were expensive. However, the American clock manufactures decided to produce similar looking clocks to the French made clocks for a much cheaper price. This was able to be done because the cases were made of iron or wood instead of slate, onyx, or marble. 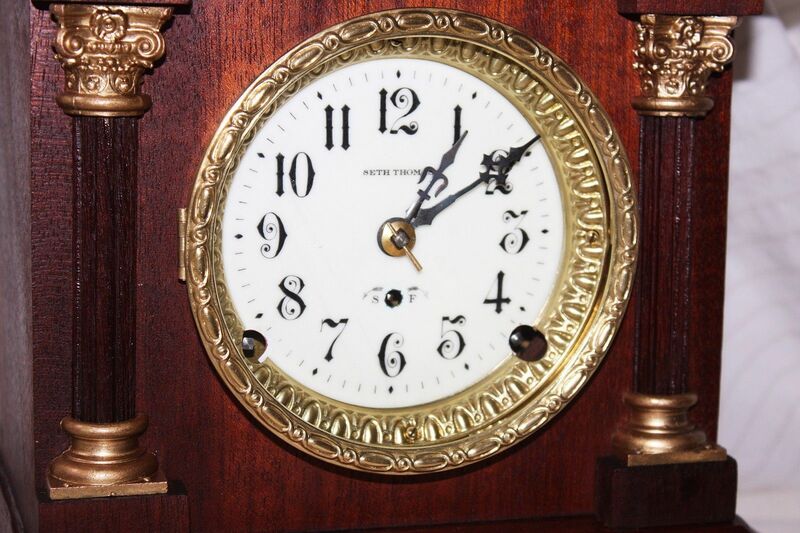 These particular clocks have been known as Black Mantel Clocks and were in high demand from 1880-1931. 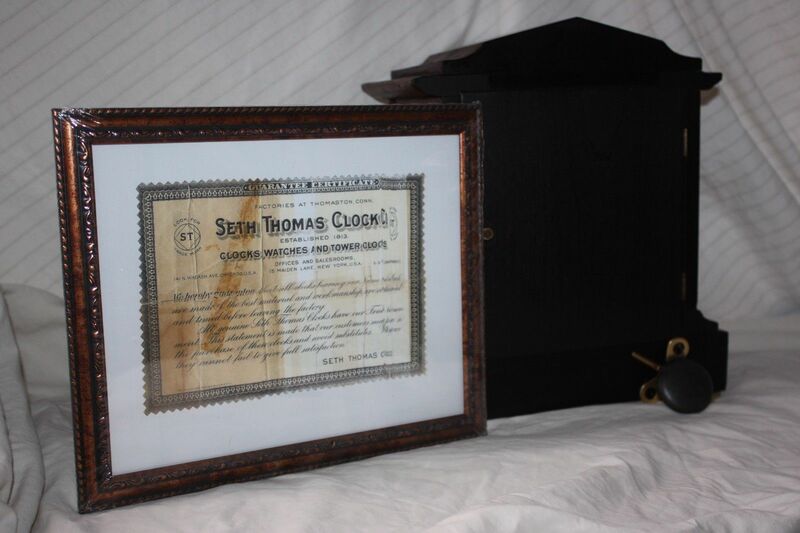 Seth Thomas started making these clocks and started with marble clocks but eventually switched to iron or wood for American’s could save money. This is how the clock brand has gotten its name, through hard work, dedication, and perseverance.